We were once like you. Some of us put our art away for a busier life, to raise our children or for fear that we would never be 'good enough'. Some of us had never tried art before (but had a secret yearning to give something creative a go). What we discovered was that art is something that everyone can learn, no matter the skill, no matter the age, no matter the anything. With the right tools and the right teaching, you will discover one of the greatest hobbies on the planet! We offers arts training with some of the best art teachers the Gold Coast has to offer. Our successful school is now opening a second studio in Robina. 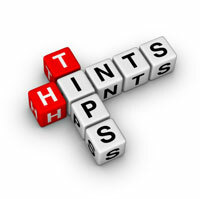 So stay tuned to all the new upcoming exciting classes and workshops. Artable was founded in Kingscliff Northern NSW in 2009 by Gillian Grove. This is her story…. I pushed my art to the boundaries of my life for a long time. I kept myself busy but deep down I secretly yearned for something fulfilling, something creative. I was happy in my life, I didn't want to launch into a career as an artist, I just wanted a new hobby. It was then that I discovered some local art classes. My whole world changed. It was time out for me each week, I found a whole new group of people with similar interests to me from all walks of life and my creative side thrived. I discovered that I didn't need to sell my art, exhibit it (although occasionally I do both now) or do anything beyond enjoying it for what it was - pure joy. As my skills got better through the classes, I realised I could access workshops with other artists to expand my skills & knowledge, meet more people and drink more coffee. I thrived. The people around me thrived. It was amazing. Adding the adults classes saw the same response again that I had on my own journey. I sought only teachers that believe in this fundamental principle and you all responded. You know, as well as I do, that we all need something creative, something joyful in our lives. 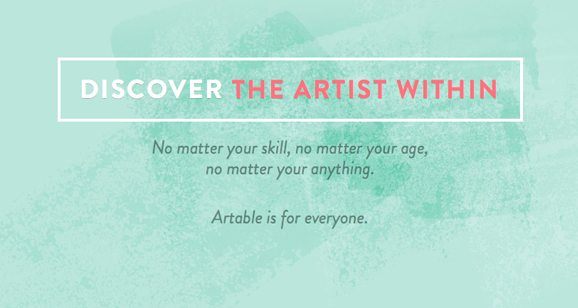 Without the criticism and without feeling like you are not good enough… Artable is for everyone. I hope that you can join us as we expand into our 2nd location in Robina on the Gold Coast. Don't hesitate to call me if you need some guidance on which class to choose and enjoy adding some creativity back into your life!